1 in 68 children in America have been identified with autism spectrum disorder. Behind the numbers are real kids who are part of our ministries. It's vital that we are knowledgeable and prepared to minister to these precious children. 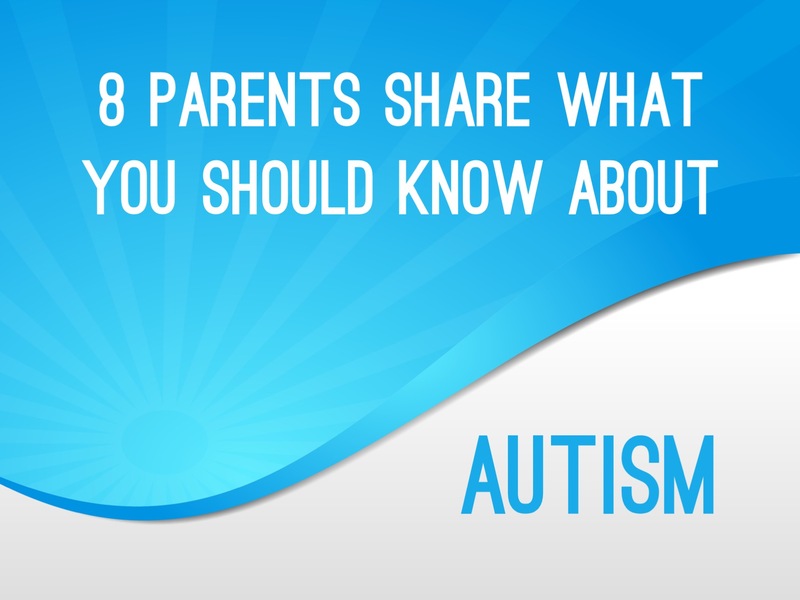 Recently, eight parents who have kids with autism shared one thing they want us to know about raising children with autism. It's great insight that can help you be more effective in this area. 1. I don't want my child to be labeled. He's not an autistic child - he's a child with autism. That subtle change makes a big difference. 2. My child is highly intelligent. Kids with autism are highly intelligent but learn differently. They are both mentally and emotionally intelligent, but you may need to look and listen differently to see their greatness. 3. My child is happy. Kids with autism are happy. Sometimes you just have to look past what's on the surface to see it. 4. I want people to truly understand what it's like to work with kids with autism. I wish people would be more proactive when working with children with autism. This includes doing more to understand meltdowns. 5. I want people to understand that being quiet doesn't mean being unaware. My son may not be extremely talkative, but that doesn't mean he doesn't know what's going on around him. That's the case with many kids with autism. 6. I want people to know that my child is talented. Children with autism can do a lot of amazing things. 7. I want people to know that safety is a big issue for children with autism. Keeping my son safe is a challenge that many simply don't understand. I remember the times when my son left the house and failed to respond to his own name, and that is beyond scary. I wish people would realize that I can't just let him run off and play. Some kids with autism need constant supervision for their own safety as well as the safety of others. 8. I am not sad. A lot of people want to offer me sympathy, but I'm not interested in it. In fact, I'm quite happy and so is my daughter. I want people to ask me about what makes her excited because I would love to tell them about her fascination with elephants instead. April is Autism awareness month. As churches, let's be champions for children with autism. Thanks! We have several kids on the Autism spectrum. Great info to share with my teachers!